An estimated 20 million Americans have some form of thyroid disease, according to the American Thyroid Association. People of all ages and races can develop thyroid disease but women are five to eight times more likely than men to have issues with their thyroid. Up to 60 percent of the people who have thyroid disease are unaware of the condition. The symptoms are often confused with other conditions making it challenging to diagnose. The thyroid is a small, butterfly-shaped gland found in the middle of the lower neck. When it is working properly, it controls the body’s metabolism by producing hormones that tell cells in the body how much energy they should use. It is important that the thyroid maintains the correct hormone level to keep the body functioning properly. As hormones are used, the thyroid creates new ones. The pituitary gland located in the skull below the brain, monitors the thyroid hormones present in the blood stream. If it senses that the levels are not correct, it will send a hormone to the thyroid to tell it to adjust the levels. Although it is very small, the thyroid produces cells that influence every cell, tissue and organ in the body making it an important factor in a person’s health. When the thyroid produces too much hormone or too little hormone, it is called thyroid disease. Hyperthyroidism is the condition where too much hormone is produced making the body use energy faster than it should. Hypothyroidism is the opposite. The thyroid is not producing enough hormone so the body is using energy slower than it should. The symptoms for hyperthyroidism include irritability or nervousness. The muscles may become weak or even tremor. Weight loss and sleep difficulties may occur. The gland itself may swell. The eyes can become irritated and vision problems may develop. Sensitivity to heat is another sign of hyperthyroidism. A person who has hypothyroidism may experience fatigue and forgetfulness. There may be unexplained weight gain and the skin and hair may become dry and coarse. Some people experience a hoarse voice and an intolerance to cold. Since the symptoms for thyroid disease are also common with other conditions, it can be challenging to detect. The best way to test for the disease is called a thyroid stimulation hormone or TSH test. This test can often detect thyroid problems before symptoms occur. If treatment to control the disease is given early enough, the symptoms may never develop. The goal for treating thyroid disease is to restore normal levels of the thyroid hormone in the blood. To treat hypothyroidism, a synthetic hormone tablet known as levothyroxine is prescribed. The tablet replaces the missing thyroid hormone in the body and allows the body to function normally. Hyperthyroidism is more challenging to treat. Treatment options include drug therapy to block hormone production, radioactive iodine treatment to disable the thyroid or surgery to remove all or part of the thyroid gland. 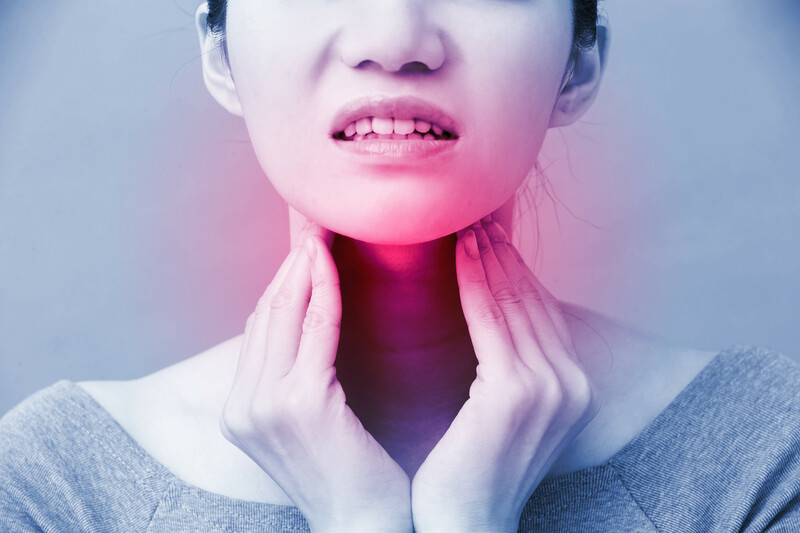 The most common treatment is radioactive iodine, which commonly brings on hypothyroidism that can be treated effectively with levothyroxine. Thyroid disease is a life-long condition that needs regular monitoring. However, with an effective plan for management, people with thyroid disease can live healthy, normal lives. Proper management of a condition like thyroid disease needs attention even when there are other medical issues like a health emergency or surgery. It is easy to forget about other conditions in the wake of new medical issues. This oversight can slow recovery and may create new issues. This is the reason that many people wisely choose to recover in a short-term care facility where there are trained staff and specialists available to monitor all of a patient’s needs with professional accuracy. Glenview Terrace is the place to find this level of expertise. Guests can rest easy knowing that thyroid or any other conditions will be regularly monitored with medications and therapy given when needed during a time of recovery from a medical event or surgery. Each day, the experts at Glenview Terrace make sure all medical and rehabilitative needs are met, from outstanding therapy services in a cutting-edge therapy gym to compassionate care for pain and other medical needs. A stay at Glenview Terrace is all about you and your needs. Comfortable accommodations include elegantly appointed rooms and suites with bathrooms featuring walk-in showers. Thoughtful amenities for rehabilitation guests include morning coffee and newspaper delivery as well as concierge services. The beautifully landscaped grounds with a spacious patio and tranquil fountain also provide both an elegant and calming environment for recovery. For a recovery with attention to all of your medical and personal needs, choose Glenview Terrace. For additional information or to arrange a tour, visit glenviewterrace.com or call 847-729-9090.